...or snack ...or dessert. 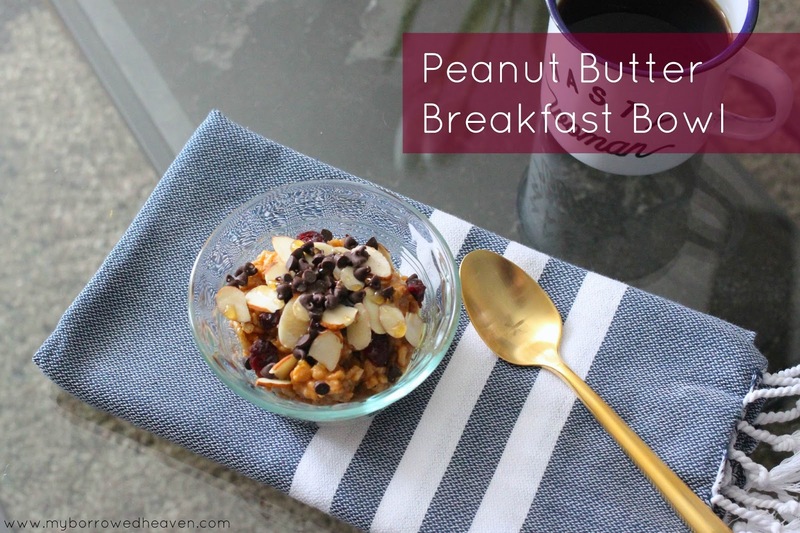 Peanut butter is one of my favorite ingredients, especially for breakfast. The protein helps me stay full all morning and keeps me from snacking before lunch. 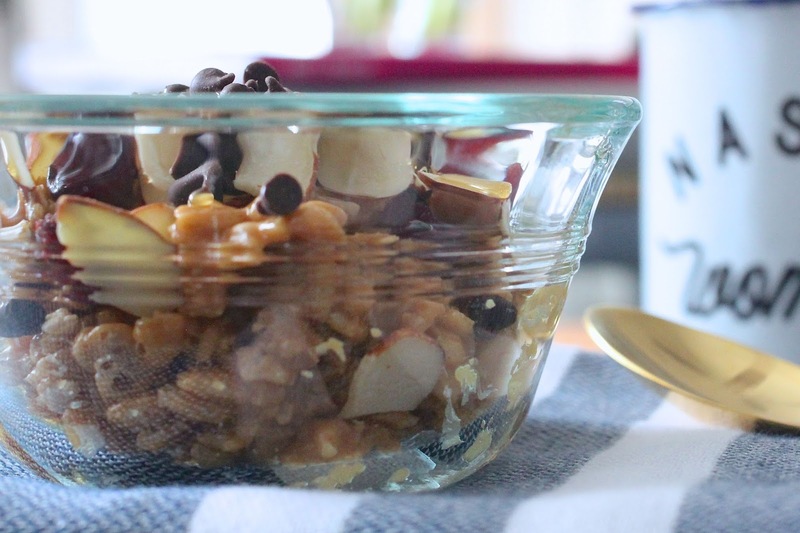 This recipe takes 20 seconds in the microwave, and it's so delicious. You can either enjoy it warm, right out of the bowl (like I do) or put it in a cupcake liner and bring to work. It will cool into a tasty breakfast bar. 1. Microwave the peanut butter for 20 seconds. 2. Stir in the honey, followed by the cereal. 3. Top the mixture with your favorite add-ins. My current favorite combination is almonds, cranberries, and a few chocolate chips. 4. Finish the bowl off with a drizzle of honey. There you have it, simple and delicious. To be honest, you can make these Peanut Butter Breakfast Bowls with any cereal or granola you have on hand. 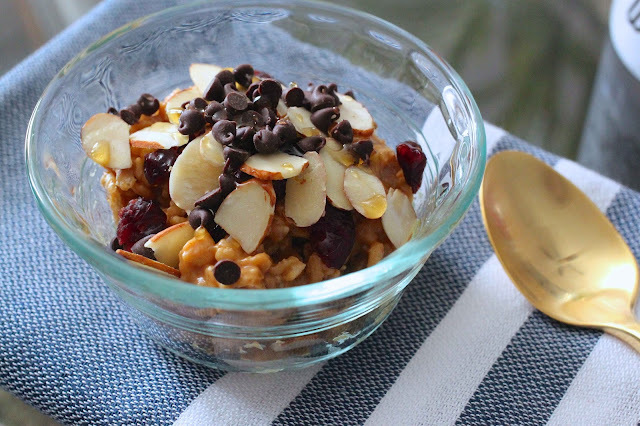 Do you have a favorite, easy weekday breakfast? Yum! This looks and sounds so good!